Designed by Jean-Pierre Brown, this cotton rug feels great on the toes and is a great way to add a designer element to any living space. 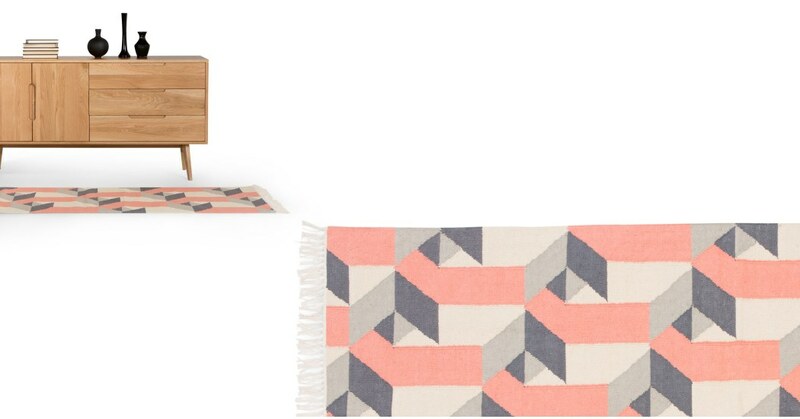 This lightweight rug is a contemporary take on an age-old weaving style. It gives the room a lift with little effort. Thanks to the tight weave found in this rug, only the coloured weft threads are visible, creating a bright, geometric effect.